Safe Teen Driving Blog - Page 4 of 67 - Safe Teen Driving Blog - Providing a solid base for teen drivers by improving behavior, attitude, skills and experience. Have Red Decals Reduced Crashes For Teen Drivers? – It Depends! A newly published study on the use of red decals by teen drivers in New Jersey seems to contradict a study published last year but that depends on the type of license the teen driver holds. In 2010, New Jersey enacted a law requiring that teen drivers display a red decal in the upper left hand corner of the vehicle license plate. The law was designed to allow law enforcement officers to identify newly licensed teen drivers more easily in order to enforce compliance with the state’s graduated driver license laws (GDL). The new study published in the journal Injury Prevention attempted to find out if the red decals had any effect on the crash rates of teen drivers during the permit phase. Just like the earlier study, using driver license information and the police reported crash database, they did a comparison of teen crash rates during the four years before the law went into effect with the crash rate in the two years after enactment of the law. The surprise was that there seemed to be no difference in the crash rate for permitted drivers before or after the law took effect. The previous study found an overall reduction of 9.5 percent in crash rates for teens after the law went into effect. So, why the difference? The new study looked strictly at the crash rate for permitted drivers. Drivers with a permit must be accompanied at all times by a supervising driver over the age of 21. Under New Jersey law, if a permitted driver commits a traffic offense, both the teen driver and the supervising driver are held responsible. The researchers feel that the reason the crash rate for permitted drivers didn’t change was that a permitted driver under the supervision of an adult driver is going to drive more carefully anyway, whether or not a red decal is attached. The real change to the crash rate was in unsupervised drivers during the probationary license phase. Those probationary drivers experienced a significant drop in crash rates after the requirement for red decals went into effect. Researchers feel the reason for the difference is that, unlike teen drivers in other states, probationary drivers in New Jersey tended to drive more carefully and were less likely to disobey the GDL laws because the red decals made them more visible to police. A a sixteen year old girl from Arizona died reportedly after drinking too many energy drinks. Lanna Hamann a sixteen year old girl from Arizona was vacationing in Mexico with family and friends. After spending time out in the sun on a Mexican beach, she complained of not feeling well and difficulty in breathing. She was taken to a local clinic where she suffered a cardiac arrest and doctors were unable to revive her. An autopsy later showed that consumption of energy drinks contributed to her death. An otherwise healthy and athletic teen, friends of Lanna reported that she loved Red Bull and, instead of staying hydrated with water, had consumed several on the day she died. According to health experts, the large amount of sugar and caffeine in the drinks can affect blood pressure and heart rhythms. We have reported on the dangers of highly sweetened and caffeinated energy drinks and their effects on driving in the past. We have also reported on the health dangers posed by overdosing on caffeine. 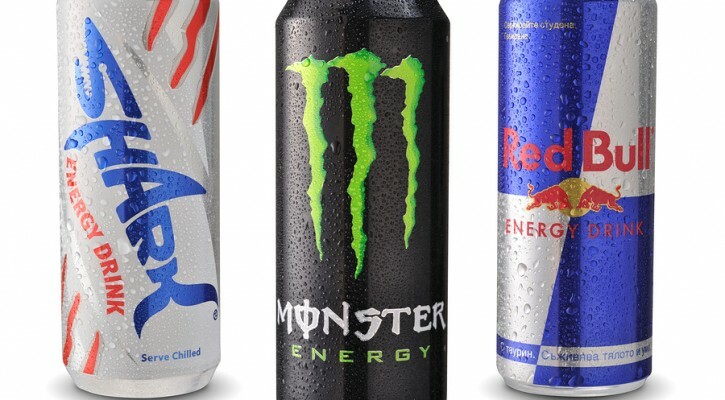 Health experts have reported that emergency room visits related to the use of energy drinks have doubled over the past several years. Young people need to be aware of the dangers these drinks can pose, especially if more than one drink is consumed. Caffeine in large amounts can lead to health issues, including cardiovascular problems, seizures, and hallucinations. Staying hydrated by using water or fruit drinks is important. Caffeinated drinks have a diuretic effect that keeps the body from retaining fluids. The effects of dehydration combined with the effects of high amounts of caffeine can increase the risk of health problems. Stiffer penalties for violating nighttime driving restrictions can lead to fewer crashes by teen drivers according to a study published in the June 2015 edition of Health Affairs. Teens lead busy lives and, especially during the school year, tend to not get enough sleep. The tendency to drive drowsy combined with limited visibility and limited driving experience make nighttime driving especially hazardous for teens. It has long been recognized that the teen crash rate increases at night and most states restrict nighttime driving by teens as part of their Graduated Driver License Laws (GDL). Under the GDL laws, teens are normally restricted from driving without a licensed adult present generally from 11:00 pm until 6:00 am, depending on the state where they are licensed. Depending on the state, those restrictions are generally lifted either after the first year or when the teen reaches the age of 18. The State of Massachusetts limits nighttime driving by teens between the hours of 12:30 am and 5:30 am. Prior to 2007, violation of this restriction resulted in a $35 fine for a first offense and fines of $75 to $100 for second and subsequent offenses. In 2007, Massachusetts changed the penalties for nighttime driving by teens to a 60 day, 180 day, and one year license suspension depending on the number of previous offenses. The researchers from Brigham and Women’s Hospital (BWH) compared the crash rate for 16 and 17 year olds to the crash rate for older teens in the one year period prior to enactment of the new law and then compared those rates to crash rates during the first five years after enactment of the law. The results showed that the rate of crashes involving fatal and incapacitating injury among drivers age 16-17 fell by 40 percent. The overall rate of police reported crashes for teens in the 16-17 age group fell by 19 percent and the nighttime crash rate fell by 29 percent. According to the senior study author at BWH, “Our data demonstrate that the 2007 revisions to the Massachusetts Junior Operator Law have prevented about 320 fatal and incapacitating injuries and 13,000 motor vehicle crashes among Massachusetts teen drivers over the past eight years. Many newly licensed teen drivers lack the driving skills to drive safely according to a study sponsored by the Children’s Hospital of Philadelphia (CHOP) and published in the journal Injury Prevention. It has long been known that a teen driver’s chances for being involved in a crash are greatest within the first three months after receiving their license. Even though they’ve passed their driving test and received a license, they lack the experience and training to recognize hazards ahead. State driving tests don’t have the capabilities to evaluate teen drivers under “real time,” hazardous road conditions. In the study, 43 percent of the teen drivers experienced at least one simulated crash compared with 29 percent of the more experienced adult drivers. According to the researchers, the most common types of crashes involved left turns, rear-end events, and running off the road. For every error a teen driver made during the simulation, their chances of crashing or running off the road increased by eight percent. While the newly licensed teens exhibited good basic driving skills such as choosing the proper lane, stopping for red lights, etc., they seemed to have difficulty when it came to recognizing, responding to, and braking for potentially hazardous situations. 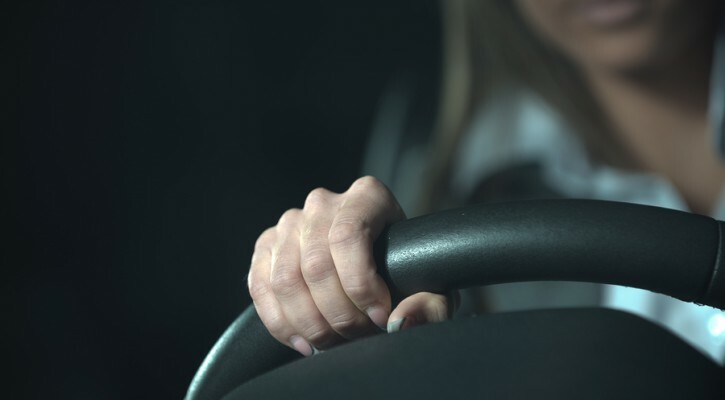 Most states don’t require behind the wheel training in their teen driver education programs. Most states leave the behind the wheel driver education to their parents and those parents rarely have the training to properly teach the teen how to drive safely. Driver education programs that use driving simulators can be effective in teaching teens to anticipate and properly respond to a hazard in time to avoid a crash. 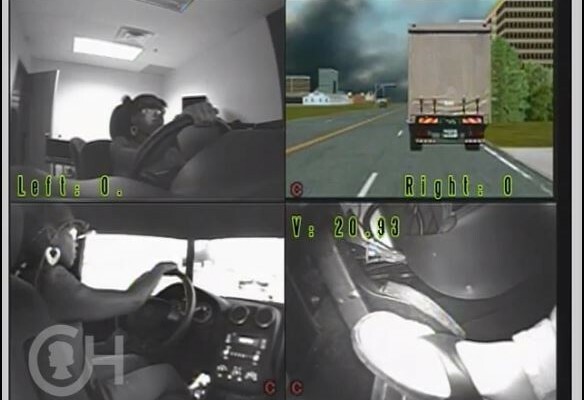 The videos below show three of the typical hazard scenarios where newly licensed teens failed to anticipate trouble ahead. Teen drivers are most likely to kill their passengers or non-occupants of the vehicle than themselves. This finding is part of a study recently released by the AAA Foundation for Traffic Safety. The study looked at crashes involving at least one teen driver aged 15-19 between 1994 and 2013 and revealed some interesting findings. The good news from the study is that deaths and injuries in crashes involving teen drivers have decreased steadily over the years. The greatest decrease is among the youngest drivers. When comparing the death rate for teens at its peak in 1999, the number of teen drivers involved in fatal crashes has fallen by 56 percent and the number involved in injury crashes has fallen by 51 percent. The reasons for this aren’t fully known but experts suggest that stronger Graduated Driver License Laws (GDL) have played a part. The crash rate is higher for 18 and 19 year olds than for younger teens and that may reflect that older teen drivers, out from under the restrictions of GDL laws, may now feel free to take more risks. 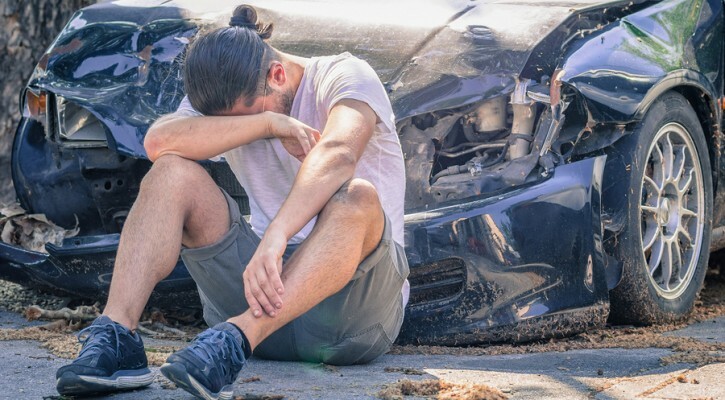 The bad news is that teens still crash at a higher rate than older drivers and, more often than not, someone other than the teen driver is most likely to be killed or injured in the crash. Forty percent of people killed and 50 percent of those injured were non-occupants of the teen driver’s car, either occupants of other vehicles or pedestrians and cyclists. When passengers inside the teen’s vehicle are added, the number of deaths, other than the teen driver, grow to 66 percent and injuries grow to 67 percent. For the teen drivers themselves, the fatality rate is 34 percent and the injury rate is 33 percent.